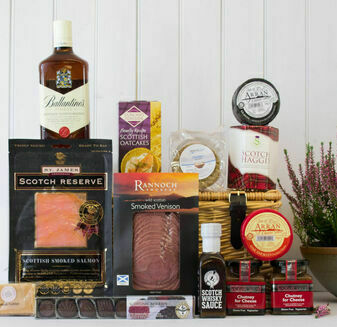 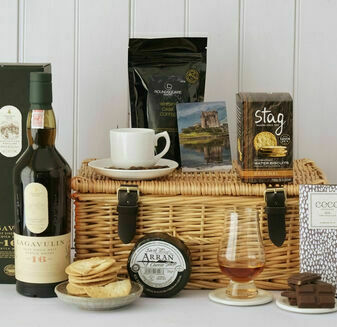 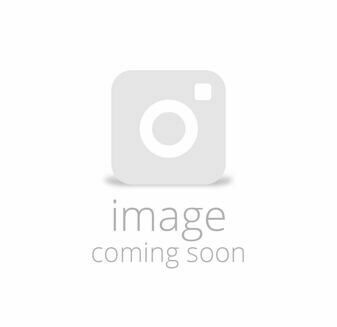 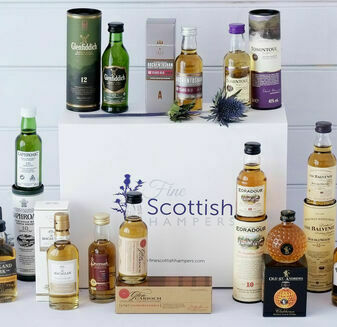 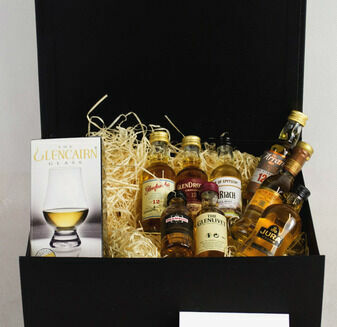 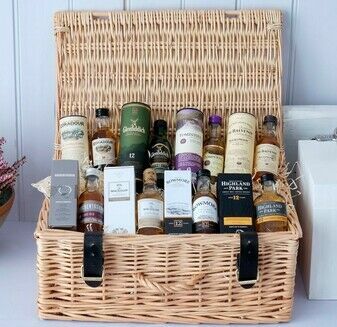 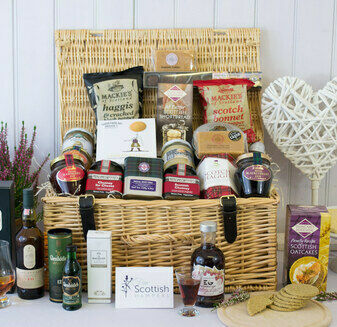 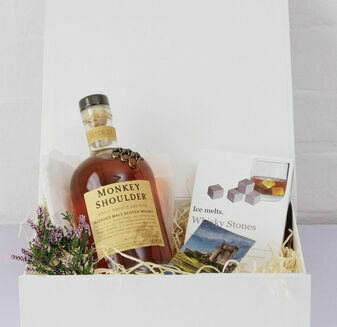 Representative of the iconic taste of Scottish Whisky, this Wee Bite and Dram Gift Hamper is sure to appease the taste-buds. 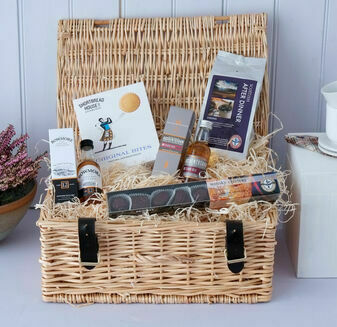 The little gift hamper is perfect for someone who is known for their fondness of a luxurious snack in the evening, deliciously decadent and full of flavour. 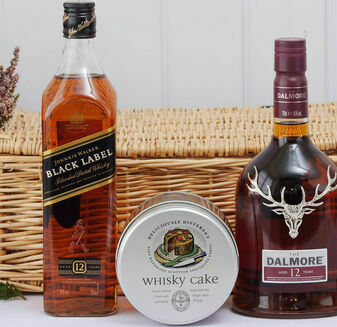 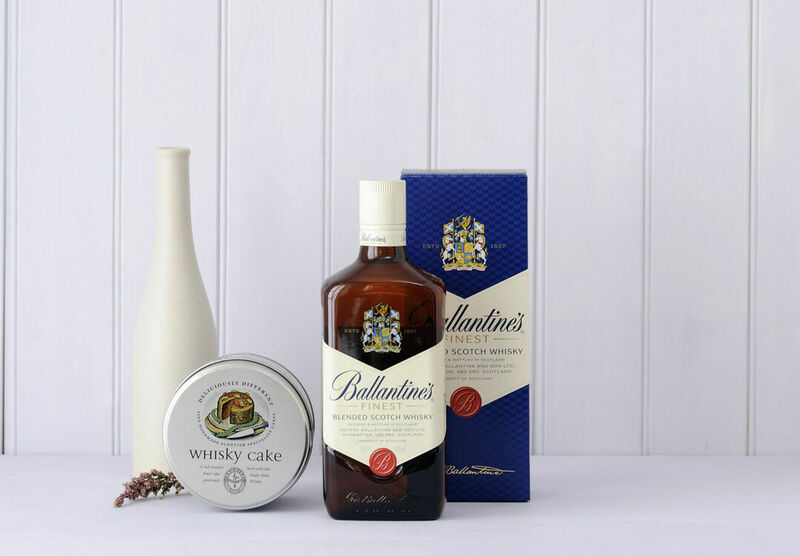 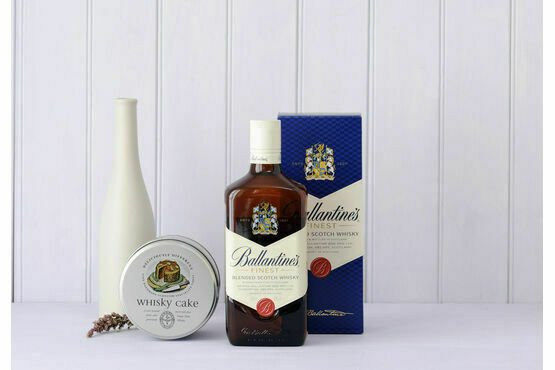 Please note a Florie cake currently replaces the Whisky cake shown in the image.